How Much is a New Mercedes-Benz? Mercedes-Benz is world-renowned for their luxury lineup, and this leaves many car shoppers in Frisco wondering, “How much is a Mercedes-Benz?” The answer may surprise you. While some models are the epitome of opulence like many of the 2019 E-Class models, others like the 2019 Mercedes-Benz GLA SUV come with an entry-level MSRP under $34k. 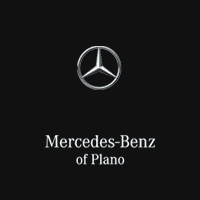 Find out the cost of the Mercedes-Benz lineup today at Mercedes-Benz of Plano. If the cost to get into a Mercedes-Benz was lower than you thought, it can be even more affordable with the new vehicle specials found at Mercedes-Benz of Plano. Contact us to find out more today! 0 comment(s) so far on How Much is a New Mercedes-Benz?